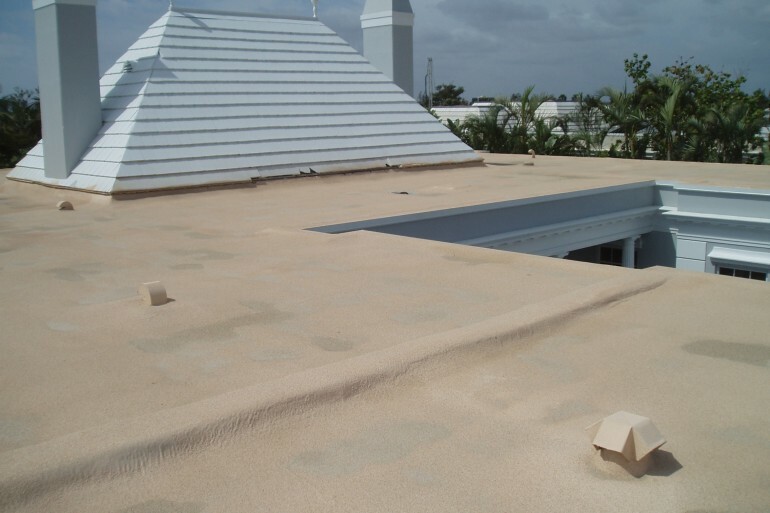 This SPF roof was installed to replace modified bitumen on a luxury home. The homeowner was having repeated problems with leaks despite careful repairs. 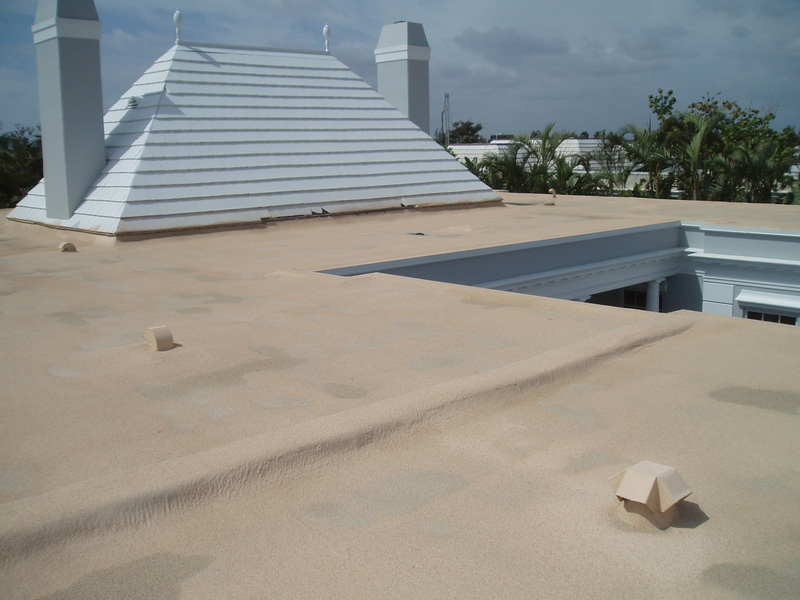 After having an SPF roof, the leaks ceased to occur. Surface Area: 6500 sq. ft.
© Copyright 2015 Whiting Construction, Inc. All rights reserved.